Time management is probably one of the most difficult aspects of business ownership to master. When it’s your business, is it ever really closed? Do you ever really shut down for the night? And, when all of your priorities are top priorities, when do you allow yourself to stop chipping away at them? How do you manage your time so there’s time left just for you? Relevant: Relevant goals are also reasonable and results-based. Is the goal in alignment with other goals? Will the effort to achieve this goal support or interfere with the accomplishment of other goals? Is this the right time to set this goal? SMART goals are smart and because they’re defined, they’ll allow you to better manage your work and personal time because you’ll know exactly what needs to be done to achieve your goal and can allot time specifically for those tasks. Remember the reasons you had for starting your own business? Chances are you wanted to do something you either loved, were skilled at, or both so you could be your own boss, have more time with your family, enjoy flexibility, make a solid living, and so on. Grab a cup of coffee and write those goals down. Estimate how close you are to meeting them today and refresh your goals. It’s important to take stock of how far you’ve come and you just might surprise yourself. Perhaps you’ve actually reached a point in your business ownership journey where you can relax a little more. RescueTime: An intelligent and handy app that will let you know where you invested your time on your computer. You can also install it on employee computers to gauge “Facebook drift.” With RescueTime, you can set goals, alarms, reminders, block time-waster sites, and more. You’ll also receive productivity reports each week on your time management. Toggl: Toggl makes setting up time sheets easier and faster and enables simpler time attribution for clients and projects for invoicing purposes. Remember the Milk: Remember the Milk is a digital to-do list that stays with you wherever you go. Access your to-do list from your phone, computer, and email account. You can also set reminders. It’s true that hard work often pays off, but it doesn’t have to mean non-stop hard work just for the sake of working. Studies have shown that working too much and trying to juggle too many projects really doesn’t get you any further in the long run. 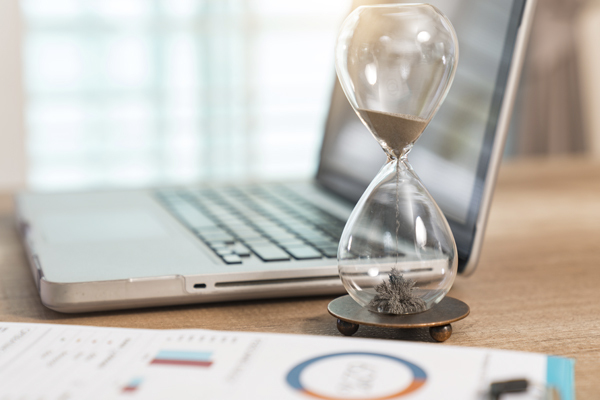 Factoring in time spent correcting mistakes made in a rush, oversights made with a tired mind, and forgotten tasks, you could end up spending more time on a project than if you had approached it with a reasonable time management plan for completion. Working non-stop can not only lead to strained relationships, unhealthy behaviors, and stress, but also the dreaded burn out. Only you can decide when enough is enough, but if you find you’re often apologizing for missed family time, being absent at special events, and broken appointments, you might want to evaluate your time management to see where you can make some changes. After all, you should own your business, not the other way around. The bottom line is staying committed to yourself and your work-life balance. Read more about how to manage your time as a business owner and more in the free eBook, Work-Life Balance for Small Business Owners. Need help with your small business marketing? Contact your local Valpak representative today.